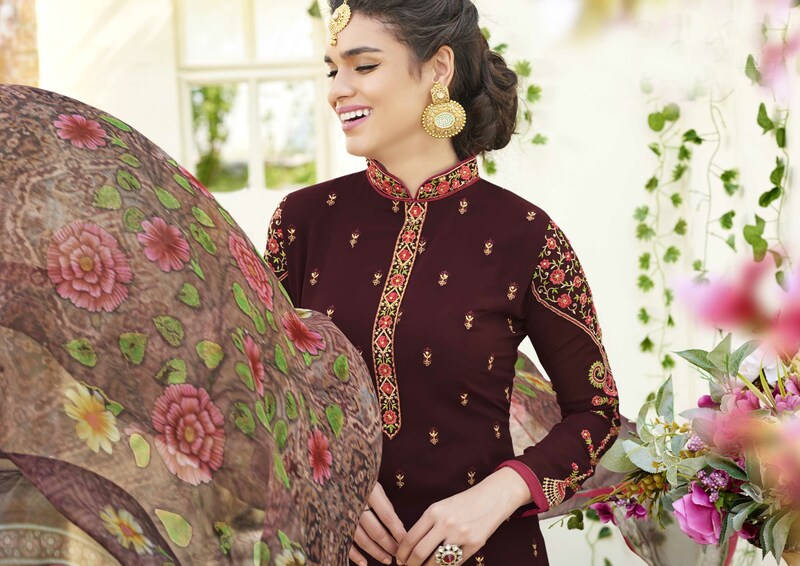 Add more glam to your look wearing this beautiful brown designer suit which has been designed using georgette fabric and enriched with beautiful embroidery work done on it. 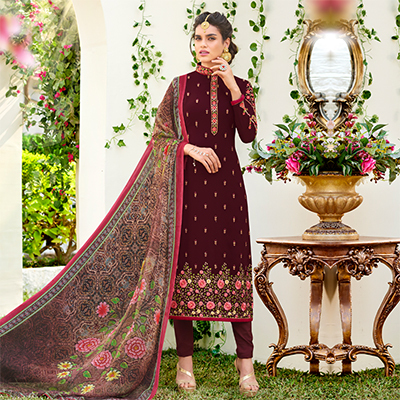 This suit look has been beautified with matching colored soft silk fabric bottom & digital printed viscose dupatta. 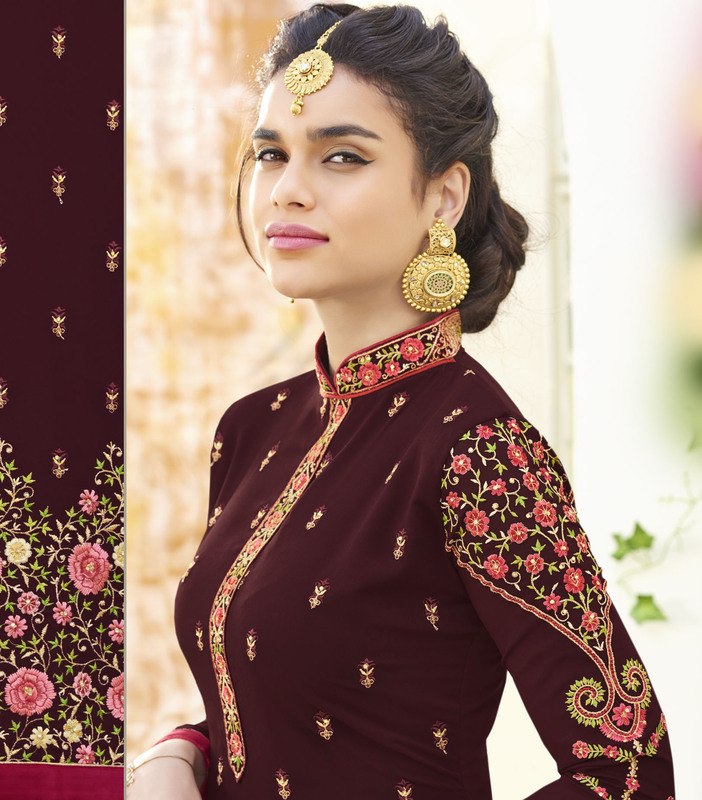 This semi-stitched outfit is perfect to wear at weekend get-together, parties, functions & occasions. Team this suit with classy accessories and high heel for a complete look. Grab this suit now as it's easy to maintain and comfortable to wear all day long & fetch compliments for your rich sense of style.